Graham Greene: A Descriptive Catalog. Miller, Robert H. (Graham Greene). Lexington: The University Press of Kentucky, 1979. 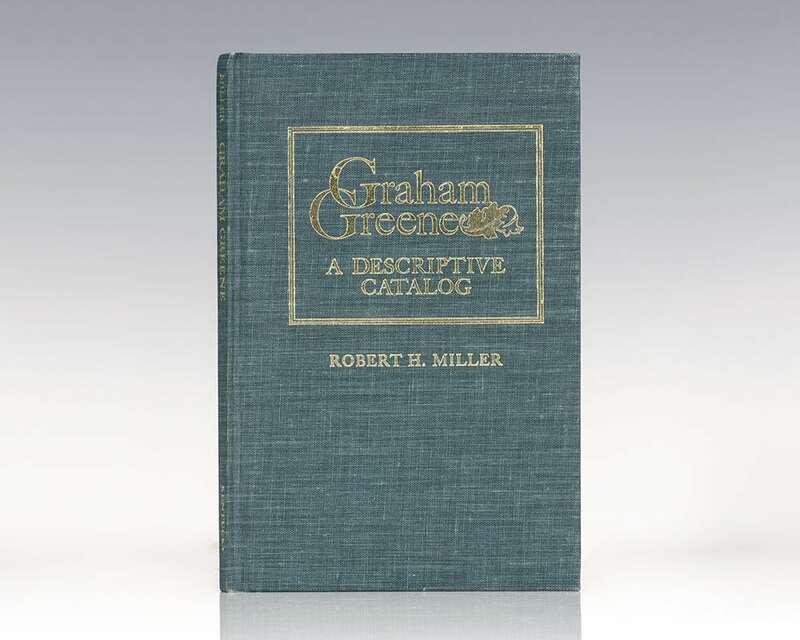 First edition of Robert H. Miller’s detailed catalog of Graham Green’s collected titles. Octavo, original green cloth, gilt titles and tooling to the spine. With three original newspapers related to Greene laid in. In near fine condition. A very nice example. Regarded as one of the greatest writers of the 20th century, English novelist Graham Greene published over twenty five novels over the course of 67 years of writing. In this work distinguished bibliographer, critic and professor of modern literature Robert H. Miller has compiled the most comprehensive catalog of the literary master's complete writings published to date.